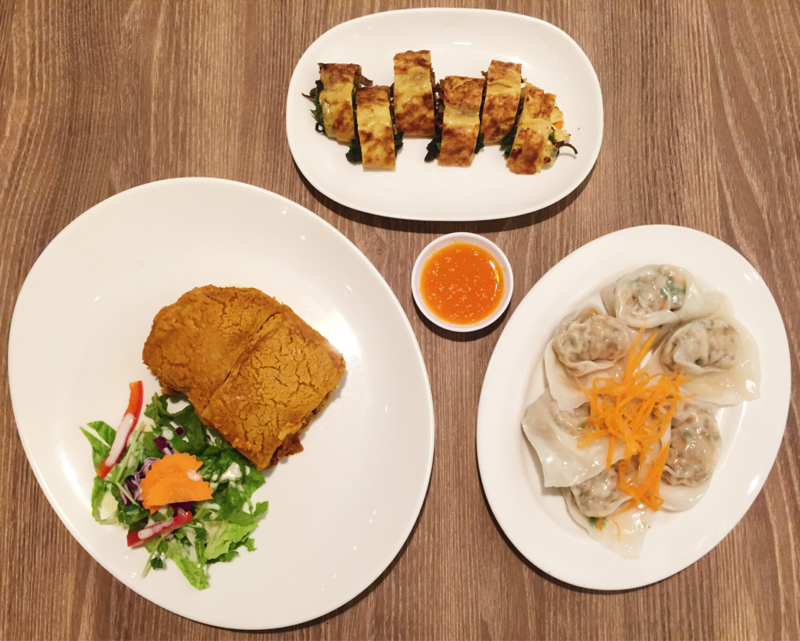 GENESIS VEGAN RESTAURANT: Asian and Western vegan food done right. 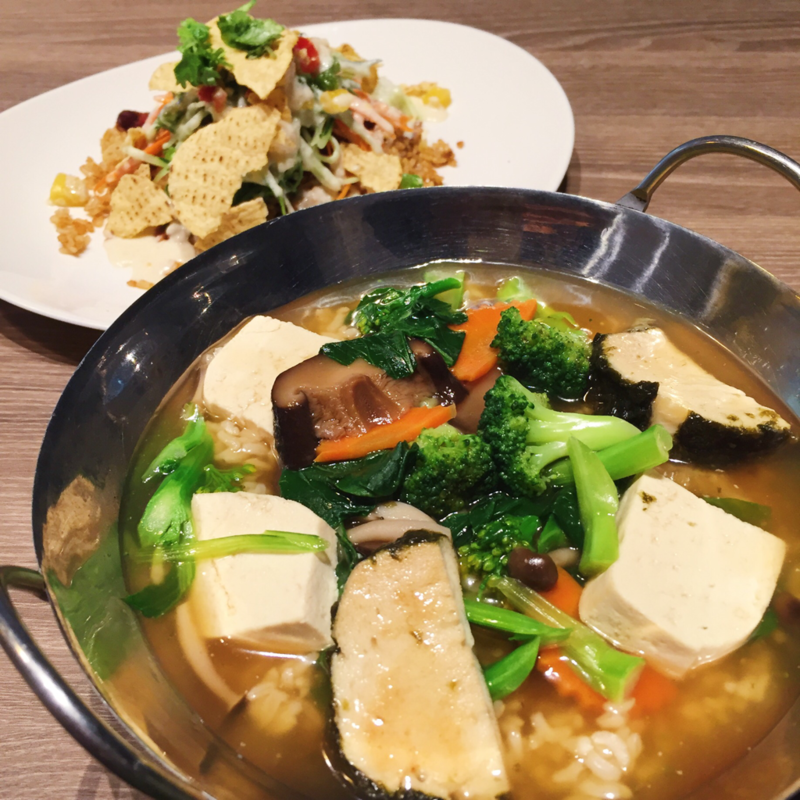 Recently, I went to Genesis Vegan Restaurant with my friend after wanting to try their steamed dumplings for ages. 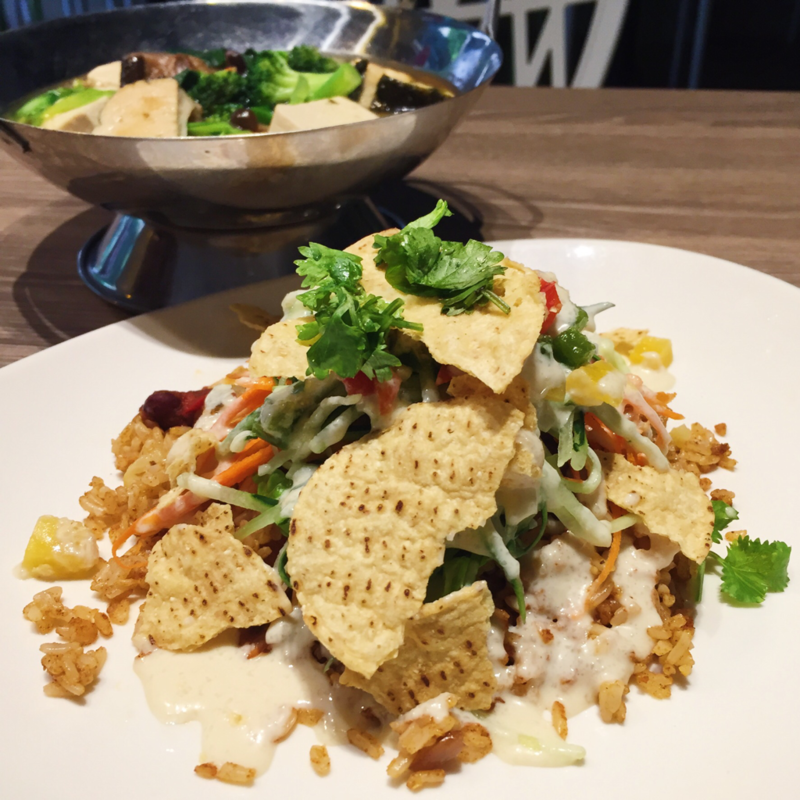 Genesis used to be located somewhere in Clark Quay, but closed down around last year and shifted to their current location at Farrer Park. 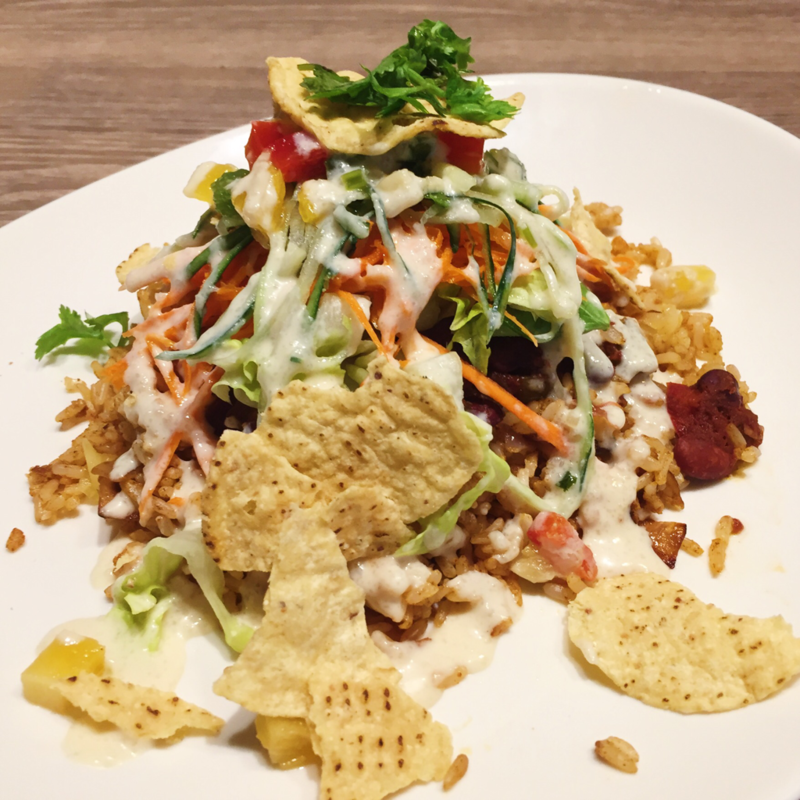 The nearest station to the restaurant is Farrer Park Station. However. it is pretty far from the station, probably about a 10-15 minute walk (or maybe we took the longer route accidentally haha). After walking along Owen Road for a bit, you will be able to see this large signboard. 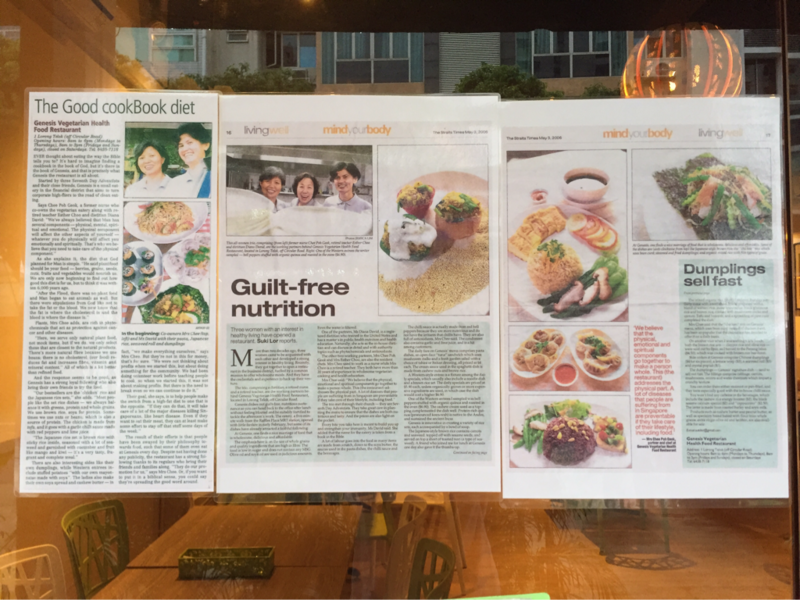 The articles that features Genesis Vegan Restaurant pasted on the glass doors of the restaurant. 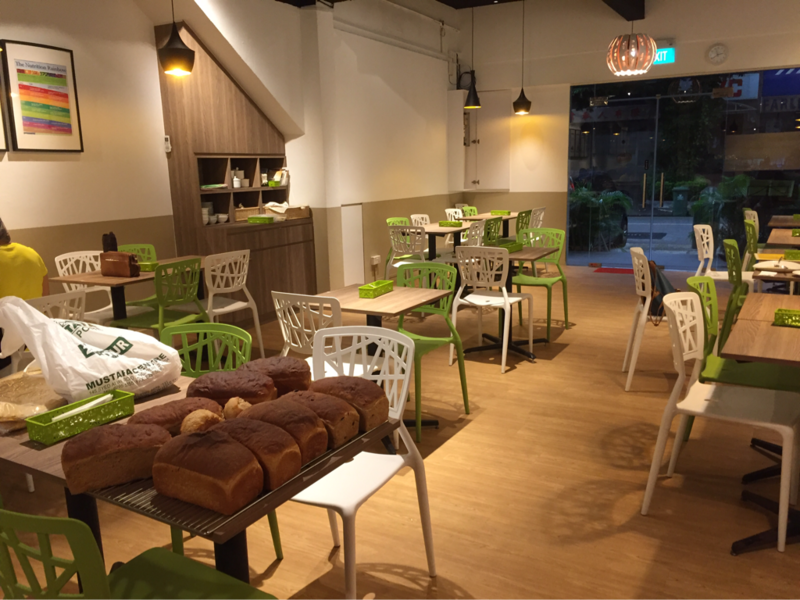 Spacious restaurant with a wooden-green-white theme. The counter with some food samples, which I will talk more about later. 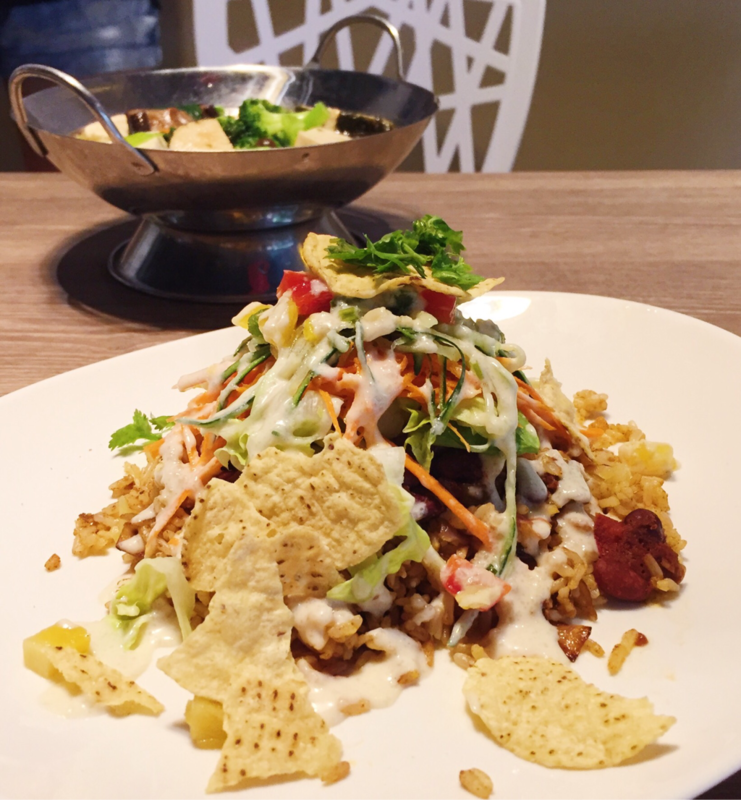 Genesis is a fully vegan restaurant, offering both Asian and Western cuisines, from noodle to rice dishes, from savoury food to desserts. 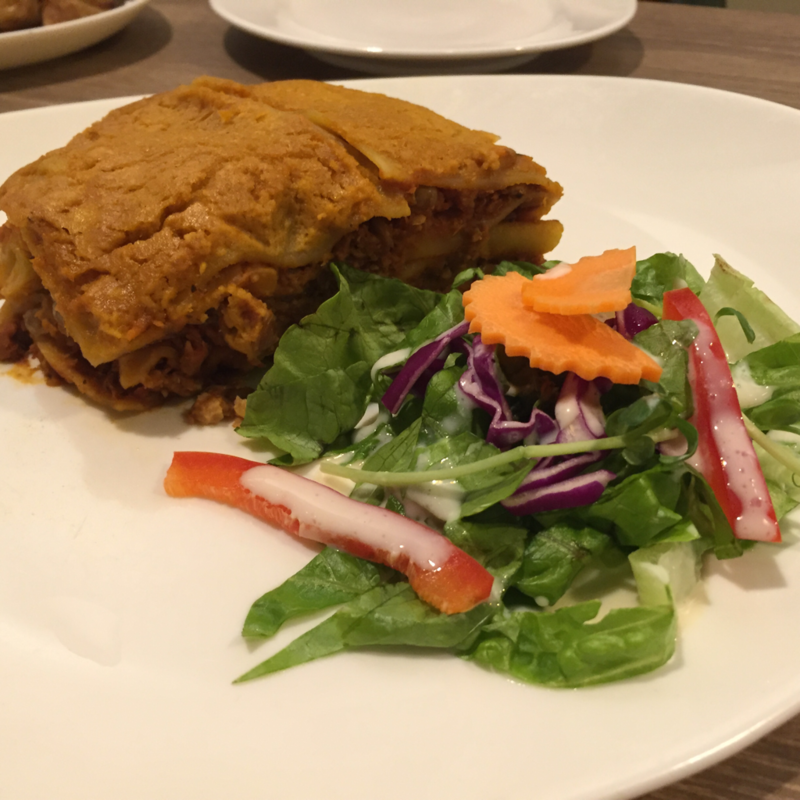 The lasagne is made up of pasta sheets, layered with some sort of "meat" sauce topped with vegan cheese and baked to perfection, served with a side salad made up of lettuce, pea sprouts, carrots, red onion, red bell pepper and sesame dressing. The side salad is simply done, but the vegetables were fresh and the creamy and slightly sweet dressing made it refreshing and tasty - a good contrast to the rich and filling lasagne. Just look at that golden-brown crust. One look at that and I knew that it was going to be a good lasagne. 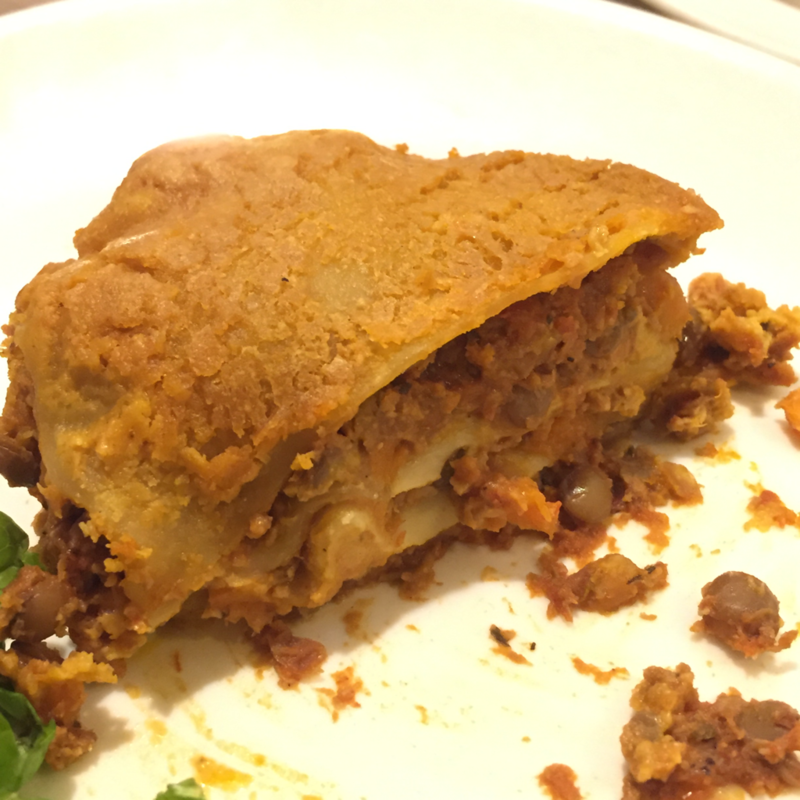 The top layer was crispy and salty, a nice twist from the usual ooey gooey melty cheese on regular lasagnes. I wonder what kind of vegan cheese they used for this that crisps up so well? I am thoroughly impressed. As for the layers of pasta sheets and "meat" sauce in between... WOW. The "meat" sauce was more like a stew rather than a sauce, thick and hearty with the lentils, tomatoes, carrots and many different vegetables cooked together to taste like they have been simmered for hours. The cook and seasonings on them were perfect - not too mushy and just the right amount of saltiness. I was blown away. However, I felt that the lasagne sheets were slightly under cooked and hence, you could not slice through the lasagne easily. They could be cooked in the oven for slightly longer or alternatively thinner sheets of pasta could be used. It was also layered with some sort of thick vegan cream sauce, the substitute to the usual béchamel sauce I guess. It was very very thick and creamy, and went very well with the tomato-based vegetable stew. Overall, this dish tied with the steamed dumplings as my favourite dish of the day. 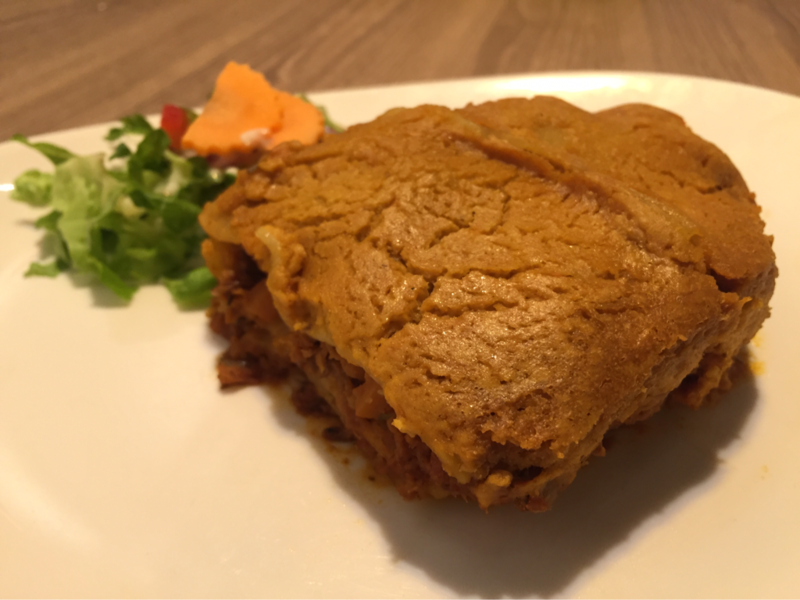 This is only the third vegan lasagne (first one from Loving Hut, second one from Brownice Italian Bistro) and I must say that it's the best one I have ever tried. 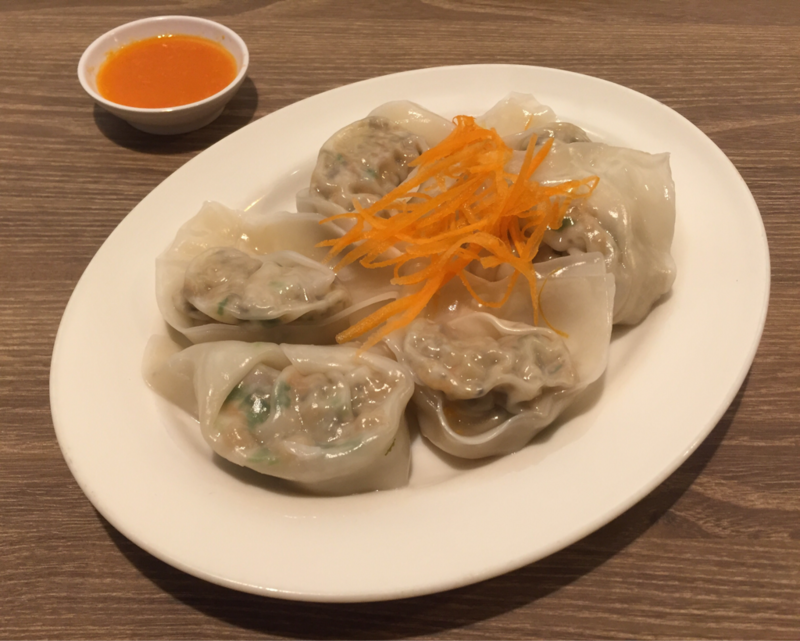 The steamed dumplings came on a plate of 6, filled with a mock meat vegetable filling, topped with carrots and served with a side of red pepper sauce. (Yes, even though it looks like chicken rice ginger chilli, it's actually a red pepper sauce.) 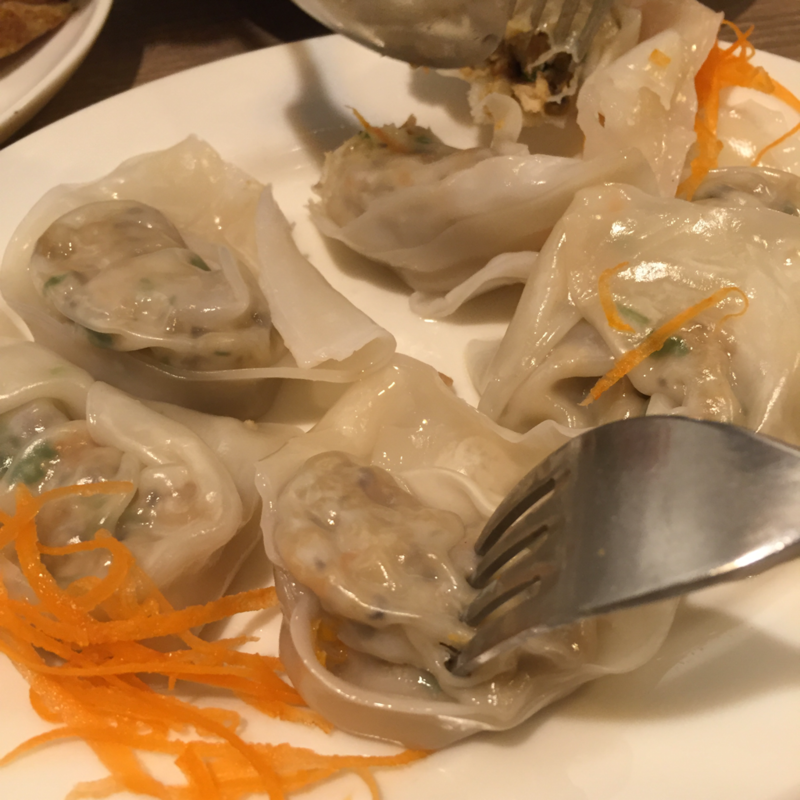 These dumplings come in both steamed and fried versions. 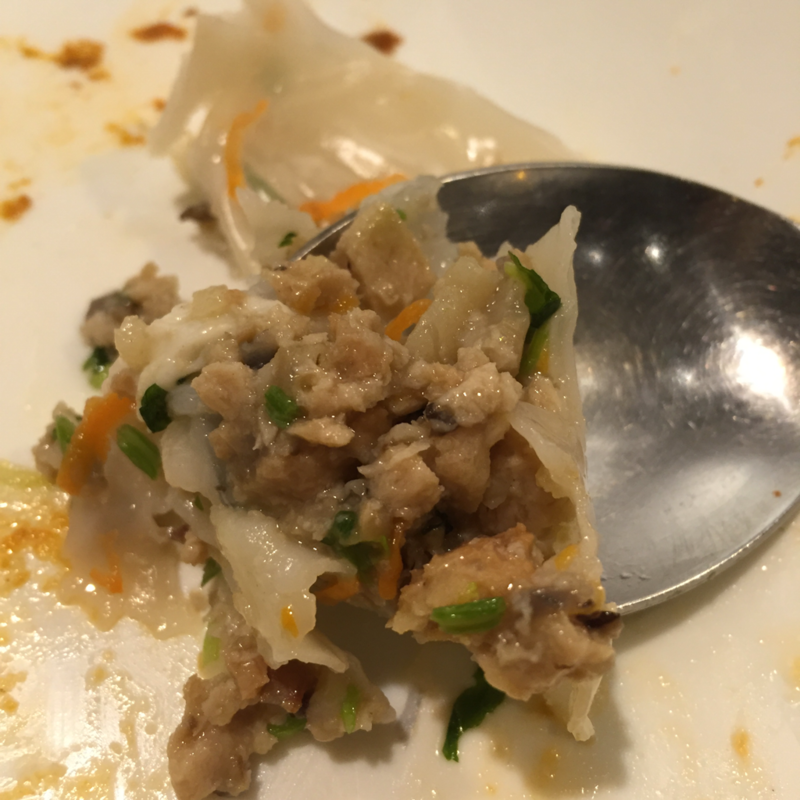 The dumpling skin was of perfect thickness - soft yet chewy. 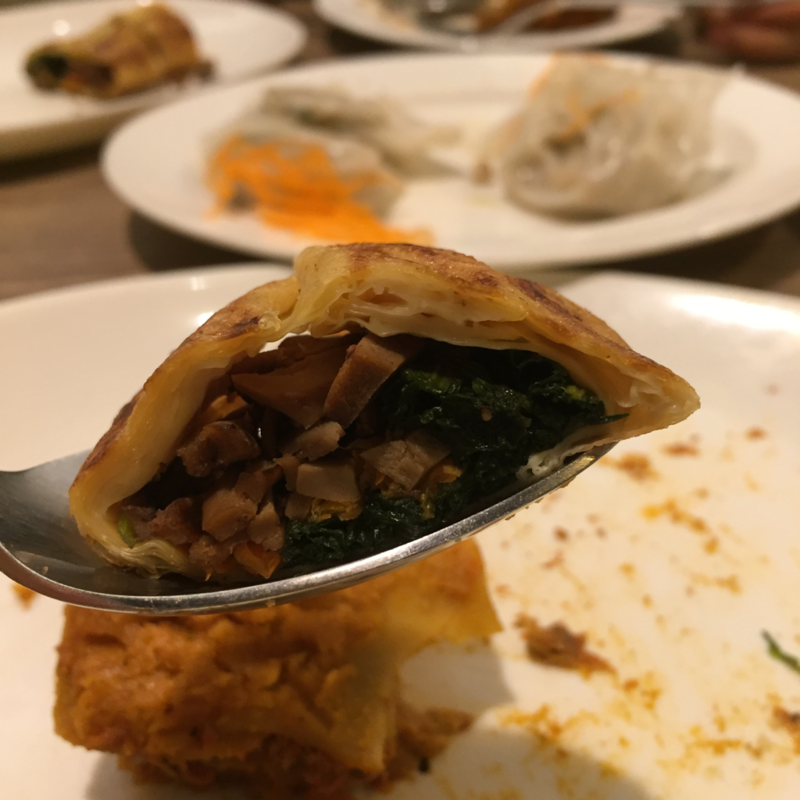 When you bite into the dumpling, you can see a colourful filling made up of soy meat, mushroom and vegetables. 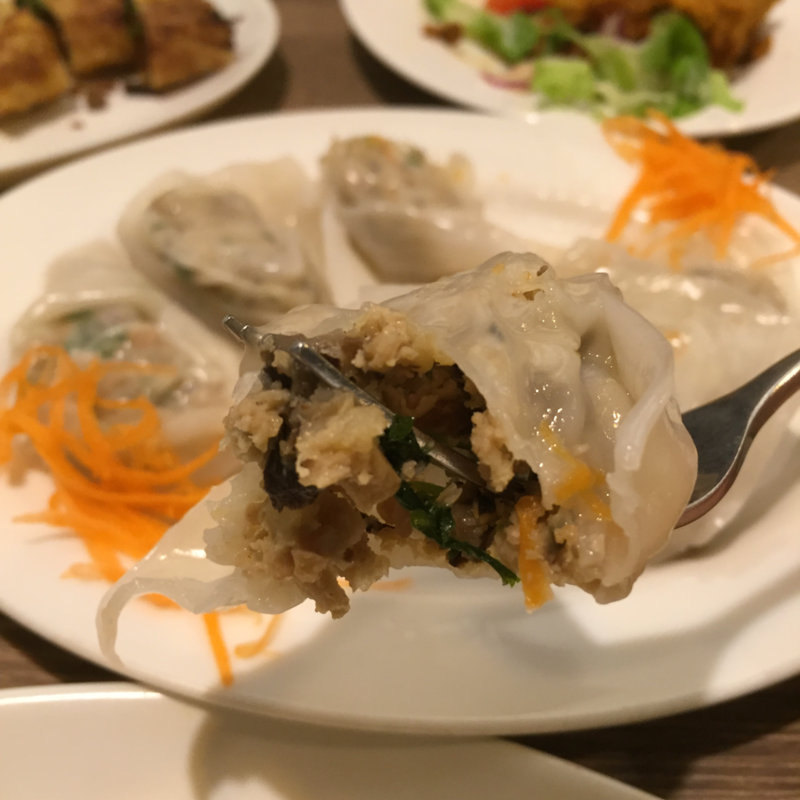 The mock meat is tender, and becomes a delicious flavourful dumpling filling when mixed together with the vegetables. 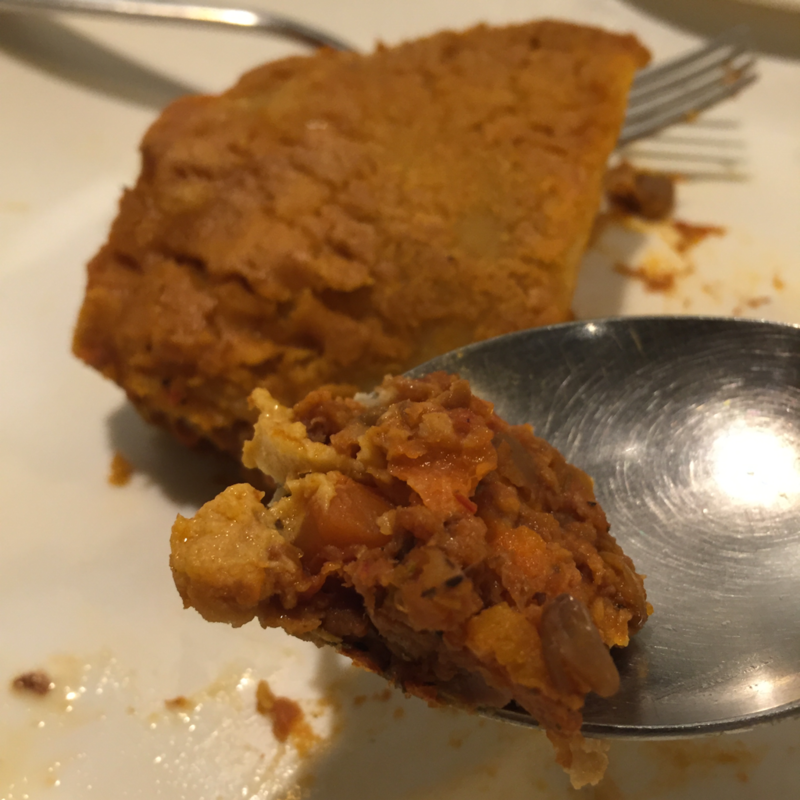 The dumpling was so moist and juicy, especially yummy when eaten with the raw carrot strips that rendered it good bite and the red pepper sauce which had a slight spicy and sour kick to it. My only wish is that they could be more generous with their filling, maybe double the portion of filling to skin ratio because the filling is THAT good. Definitely a must-try when you come here! I could literally eat five plates of these by myself. 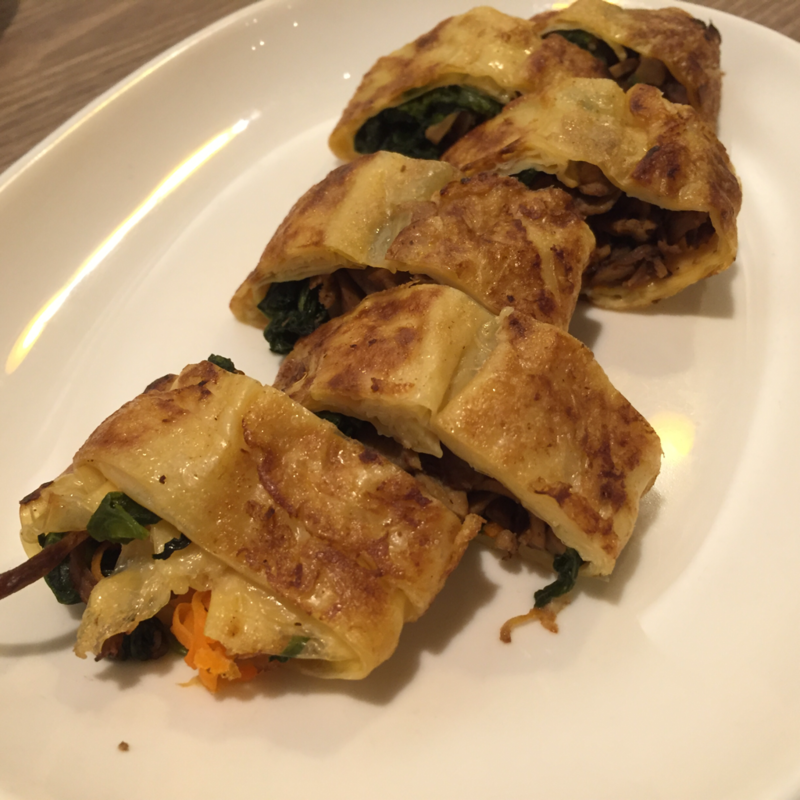 We decided to order this yuba roll because it looked interesting, almost like a vegetable omelette roll. 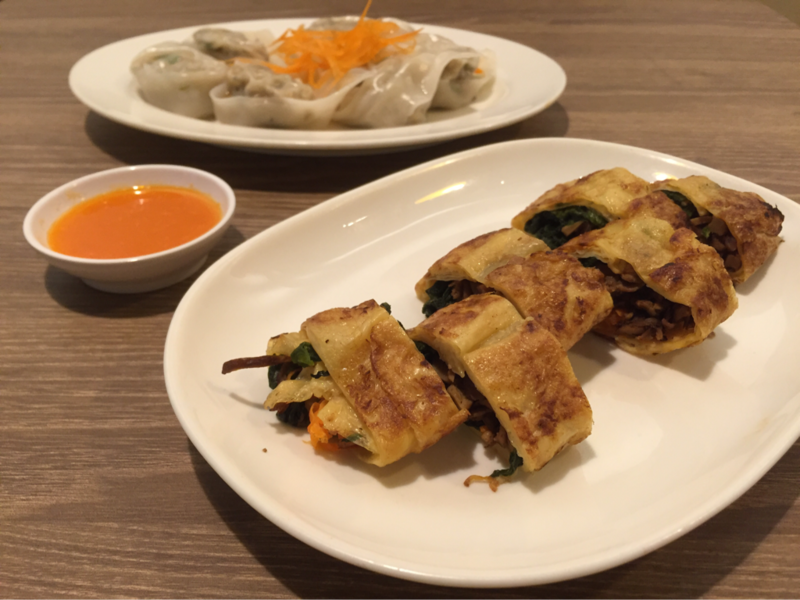 However, since it is vegan, it is made up of beancurd skin wrapped around mixed vegetables, namely: mushroom, spinach and carrots. 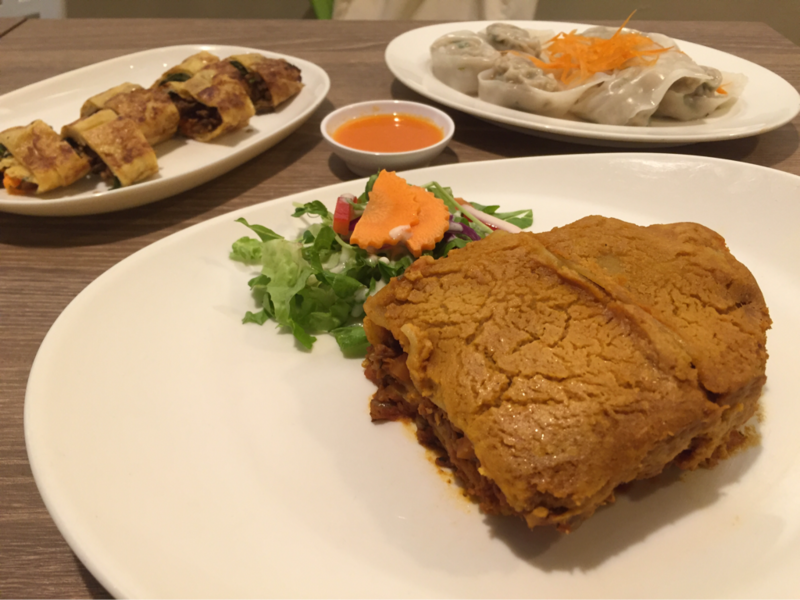 The vegetable fillings are flavourful and seasoned very well, but the beancurd skin roll itself was not not well-seasoned, dry and hard. 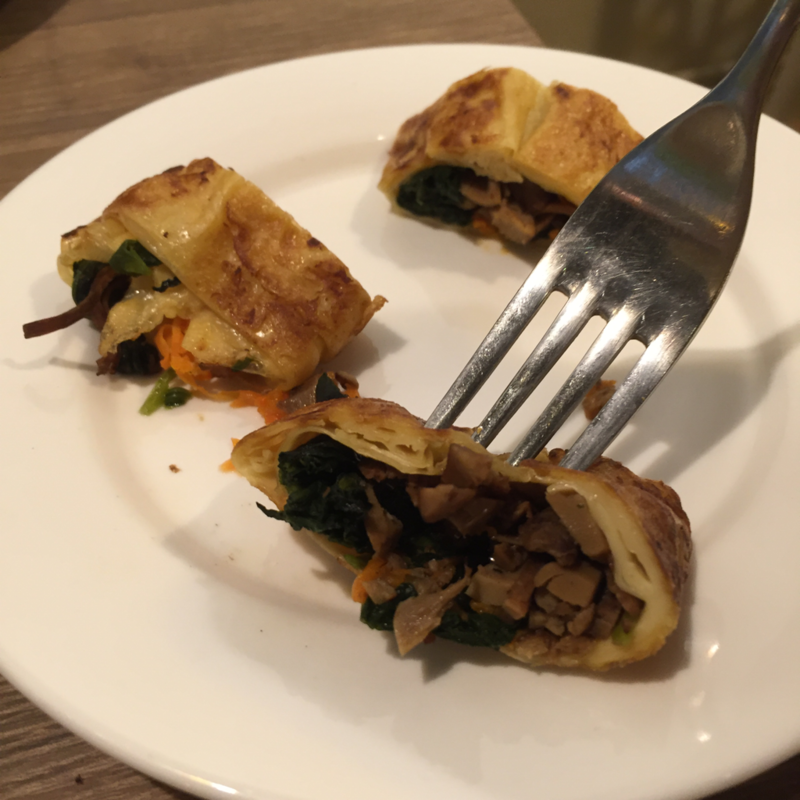 I really like the idea of a vegan omelette roll, but this wasn't executed well at all in my opinion. On the contrary, my friend really really liked this. In fact, it was her favourite dish of the day while it was my least favourite. Not recommended. 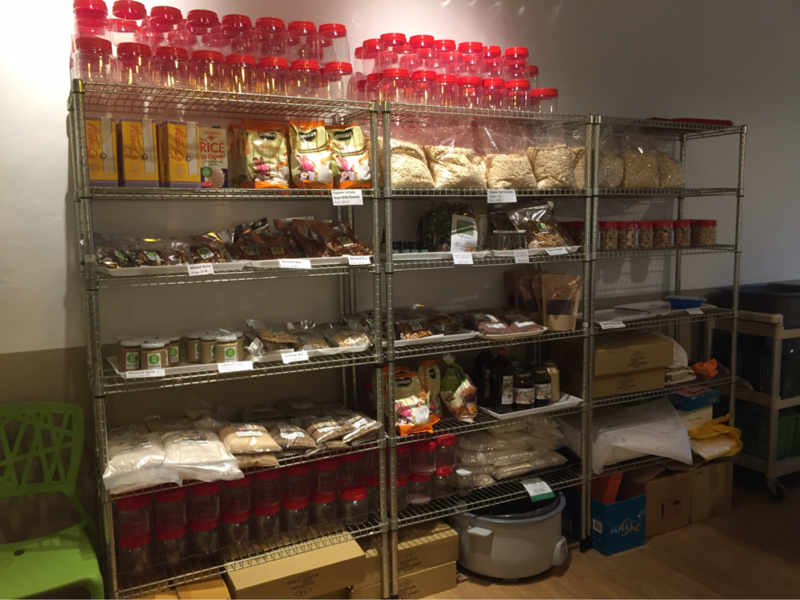 Their shelves are filled with many different types of organic vegan health foods, such as plant-based milks, oats, nuts, oat cookies, natural sweeteners and homemade nut butters. 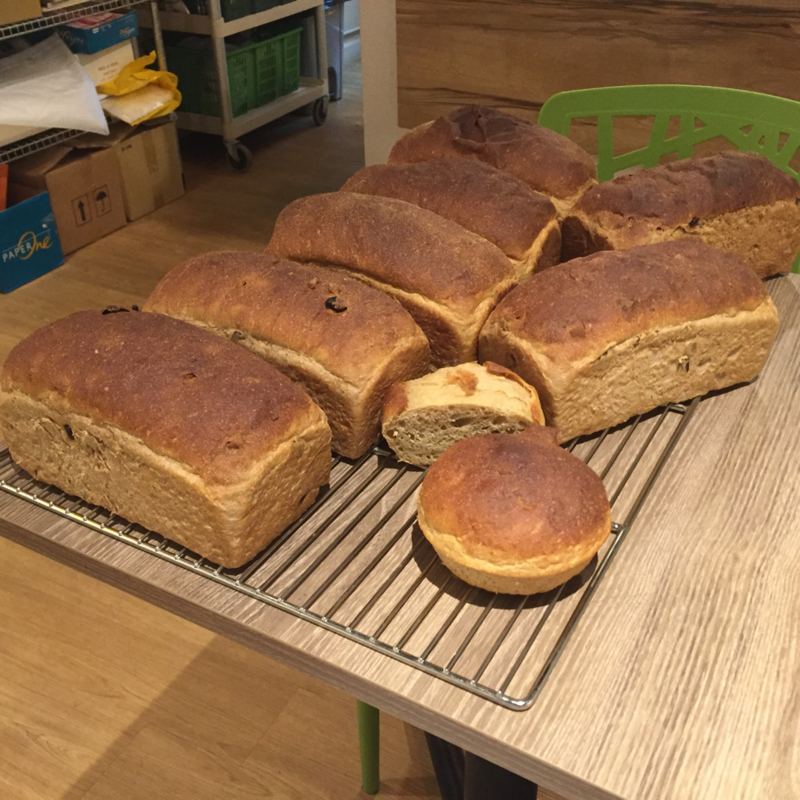 When we were there, one whole table was filled with their freshly-baked breads. They looked and smelt amazing. According to the lady at the counter, Genesis held a bread-making course just awhile ago. Thanks to the kind lady, she allowed us to try their freshly-baked breads dipped in their homemade nut butters, namely almond butter and cashew butter with chia seeds. 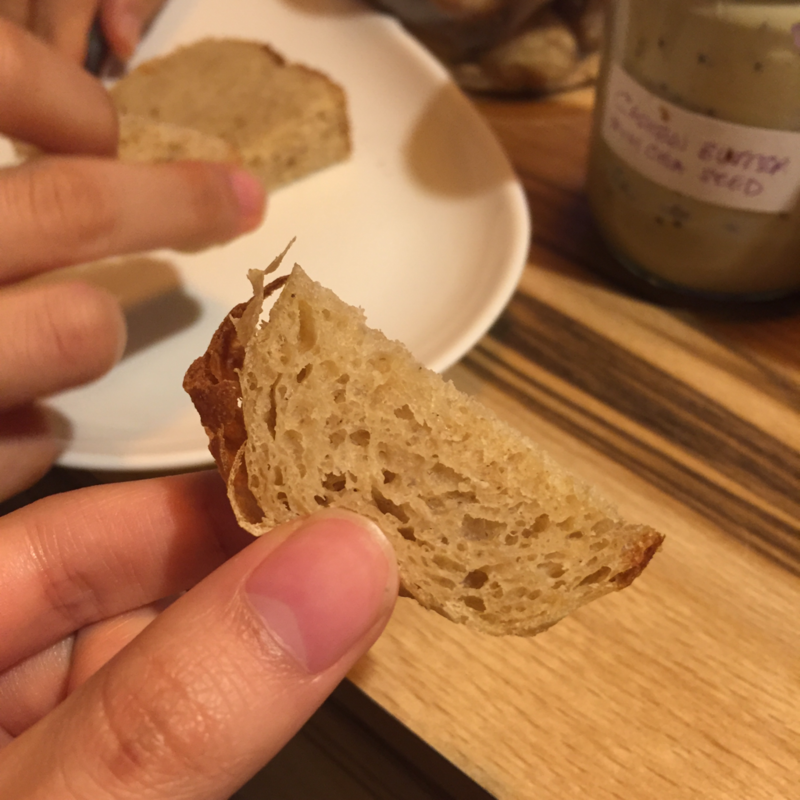 Their bread was chewy and slightly salty, one of the fluffiest and most delicious bread I have ever tasted, and to think that it's vegan is even more remarkable! Who would have thought vegan breads could taste even better than the regular ones? Especially when topped with the nut butters, it was heavenly. I loved both the nut butters - they tasted very nutty, wholesome and just unlike those store-bought ones. They tasted like, and I believe that this is really the case, no sugar nor salt was added in the baking process. Very very healthy and delicious. The lady also let us try some of their homemade vegan oat cookies, which were melt in the mouth delicious. 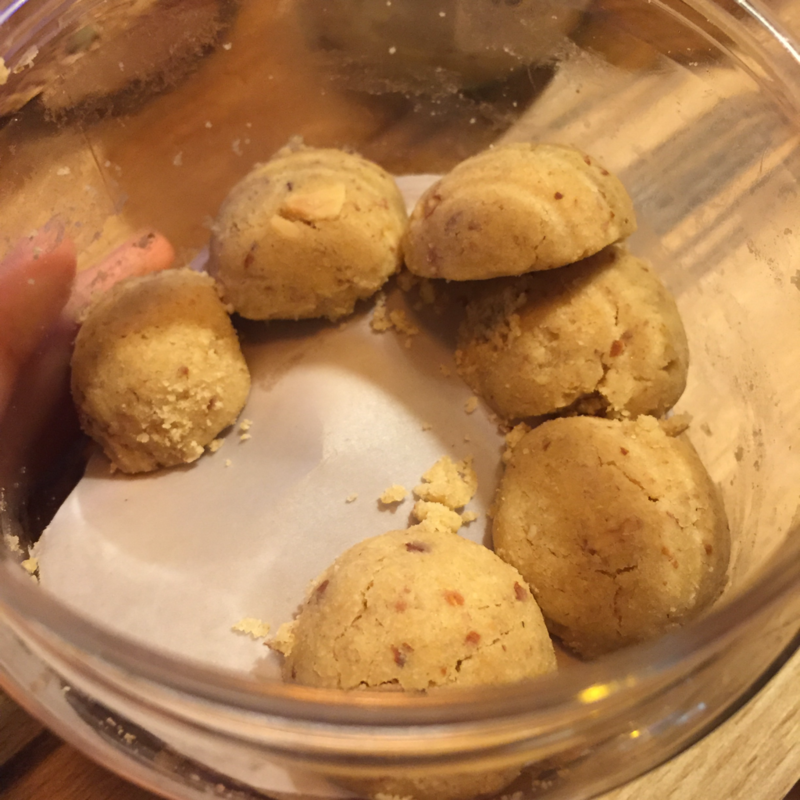 They were firm enough to hold their shape but when placed in the mouth, crumbled into a buttery not-too-sweet deliciousness. How on earth did they even achieve that buttery taste without butter?! This was crazily good. It shows that healthier vegan versions of the unhealthiest foods can taste as good as the original, if not even better. 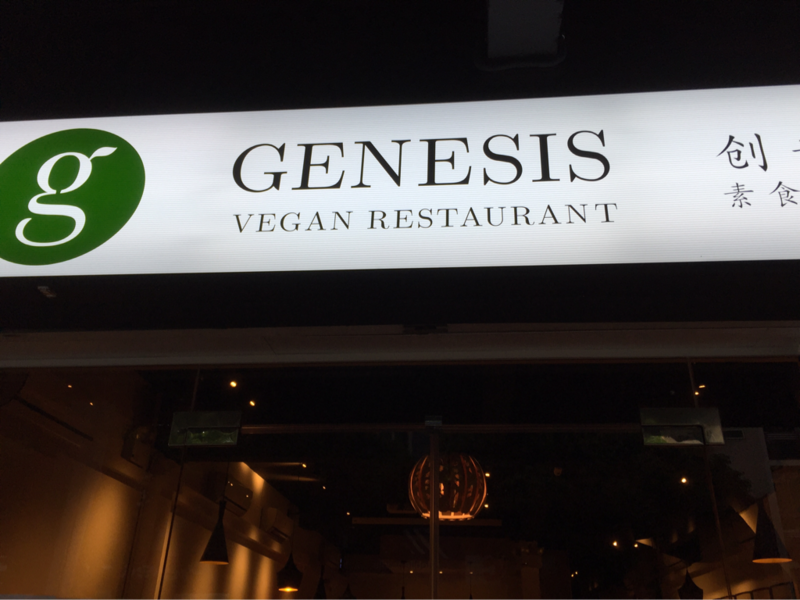 Genesis Vegan Restaurant is definitely a place that I would visit very often, if not for its not-so-strategic location. 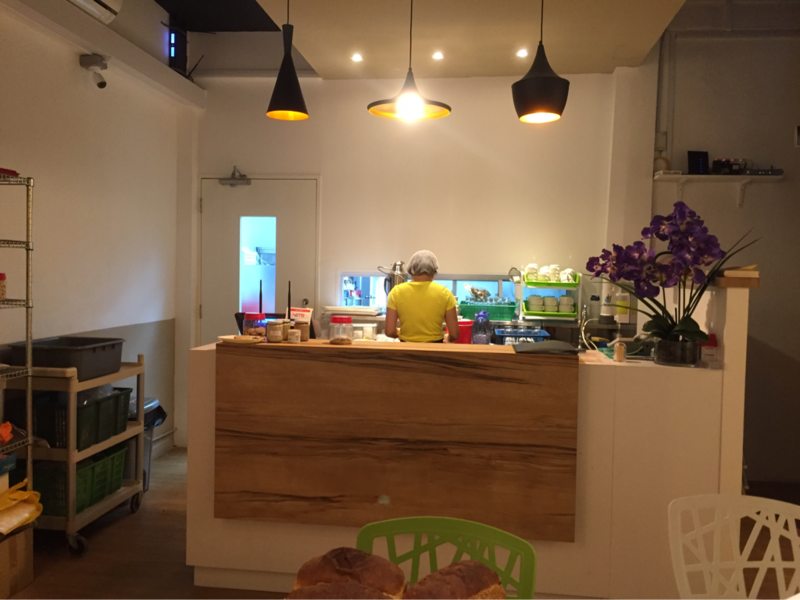 Nevertheless, their food are priced reasonably and for the quality of their food, I am surprised that we didn't need to queue for hours to get a seat. I think that this could be because not many people know about this place or that it had closed down at Clark Quay to relocate here. I definitely would recommend their lasagne and steamed dumplings to everyone - they are so so good! Can't wait to come back to try their Christmas menu or some of their other foods as soon as possible!